Renaldo Strayhorn, Ph.D., LMFT: Quiz: The DSM IV Code 305.10 stands for? 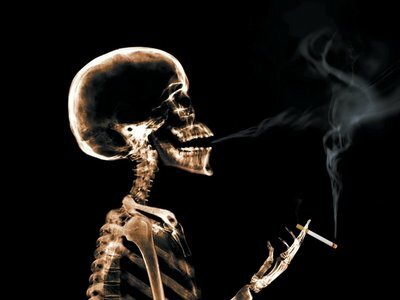 There is something about smoking that seems "Kewl" or "Kool" or edgy. For many years Philip Morris' stock was listed in the Montley Fool top ten stocks for good returns and longevity. Even Audrey Hepburn has an iconic photo smoking in the classic 60's film Breakfast at Tiffany's. Our baseball heroes chew tobacco regularly on and off the field. And even our president and most powerful leader of the free world has been known to indulge as evidenced by photos that surface despite his clandestine style to the habit; or must we say, addiction. The tobacco industry doesn't seem to promote the everyday Debi's of the world. So, why am I bringing this up? Just because. For the general population your cigarette smoking, and its related habits, might be causing functional impairments. You might have a nicotine addiction or dependency with cigarettes or its related habits if during a 12 month period you have at least 3 of these listed: 1. Have withdrawals when you stop (you "gotta have it"); 2. You spend a lot of time and energy maintaining your habit or your supply; 3. You make persistent and/or unsuccessful attempts to cut back or quit; 4. You give up major events, social, occupational, recreational, or relational interpersonal relationships because of tobacco practices; 5. You continue to use tobacco despite knowing you have medical/health problems that are a result of the tobacco usage. We lost someone that many of us Californians might recognize. Debi Austin was real. She was addicted. She was an advocate and raised our awareness in Nicotine Dependance . Smoking may have been "Kewl" way back when - the 80s perhaps: when trends were growing like weeds. But now, when I see someone smoking I think - what an idiot. Not because I think he or she is an 'idiot-idiot' per se, but because the selfishness of what they do affects EVERYONE within breathing distance and more. The perfect idiot is one who smokes, under a sign that says: Smoking prohibited 20 feet from building walls. I took a picture of her puffing on a cancer stick, on a cell phone and, to top it all off, in front of a hospital. There are people that are completely inconsiderate. The ones that throw the cigarette butts out the window and then argue with the police when they get the ticket for littering. Or the ones that have a narcissistic trait and continue to smoke in the house with their child who has asthma. But there are MANY who are addicted due to the cigarette companies working as legal drug dealers. The main thing that I am happy to see is that the country is really starting to recognize that this is an addiction and an issue that requires sensitivity. Many want to stop but the want is not as easy as many of us believe.